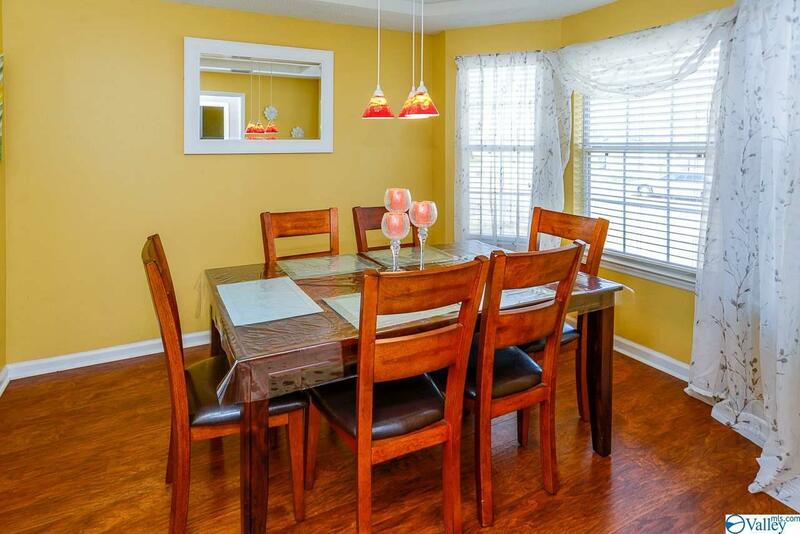 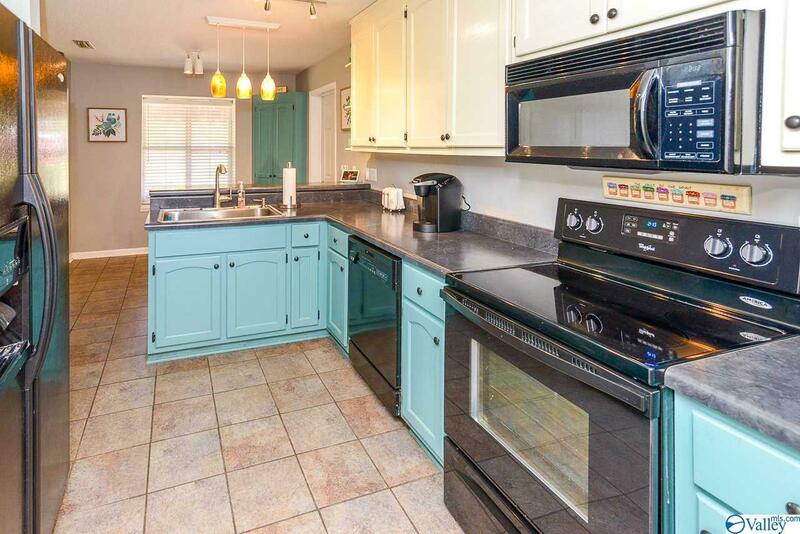 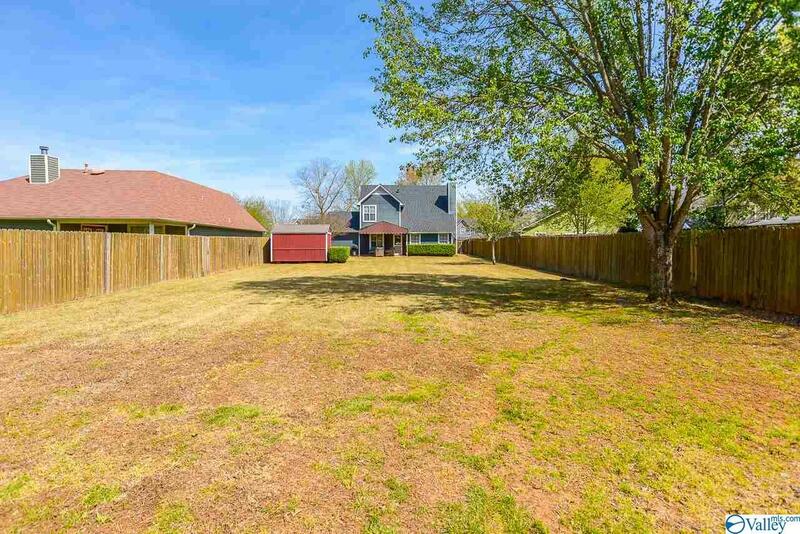 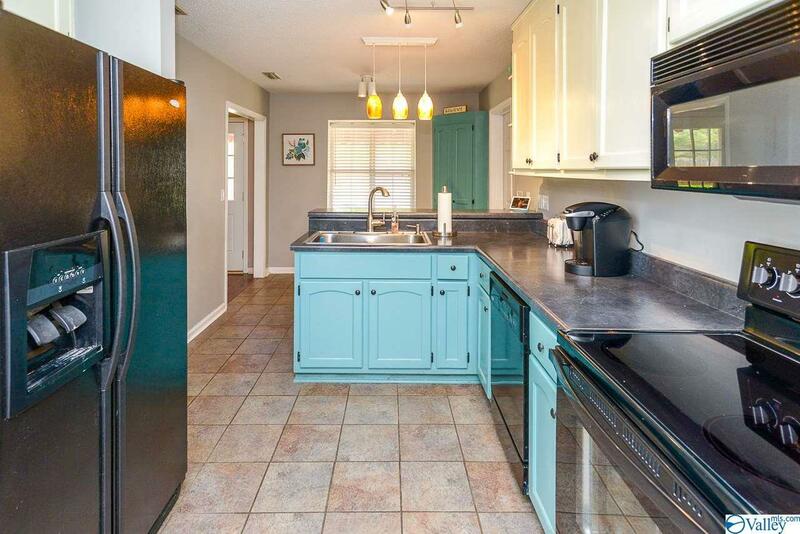 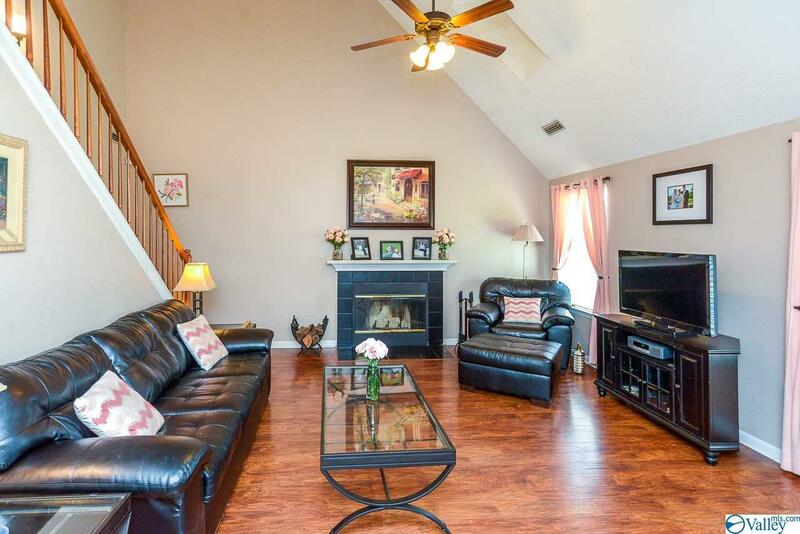 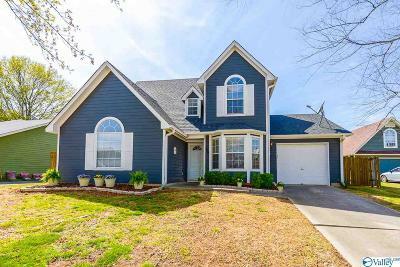 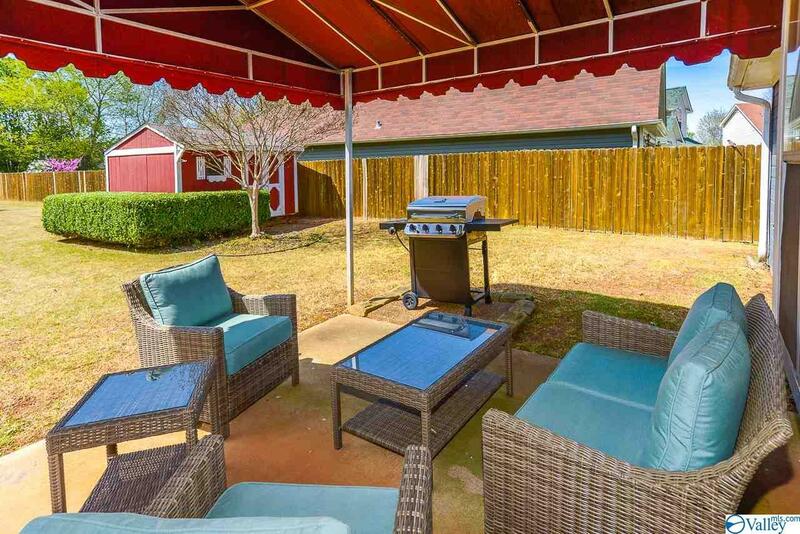 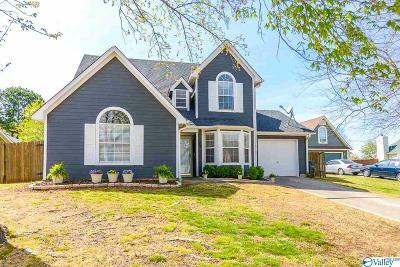 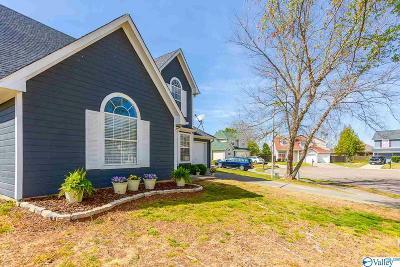 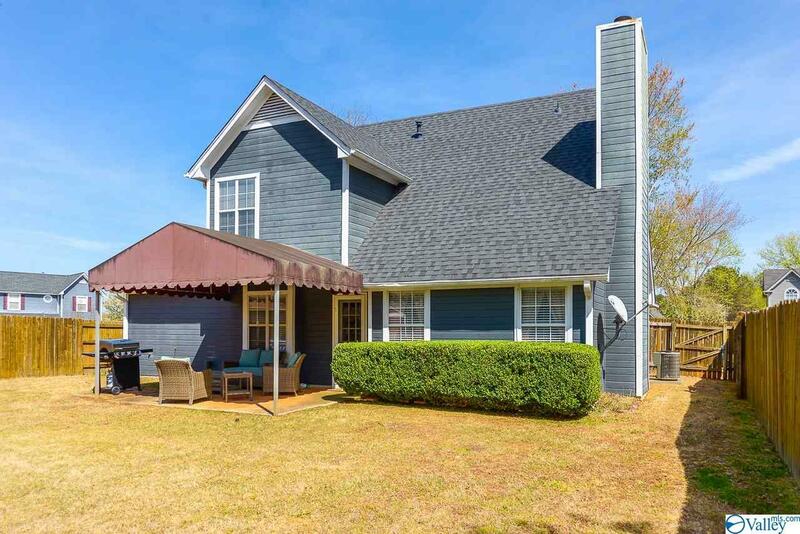 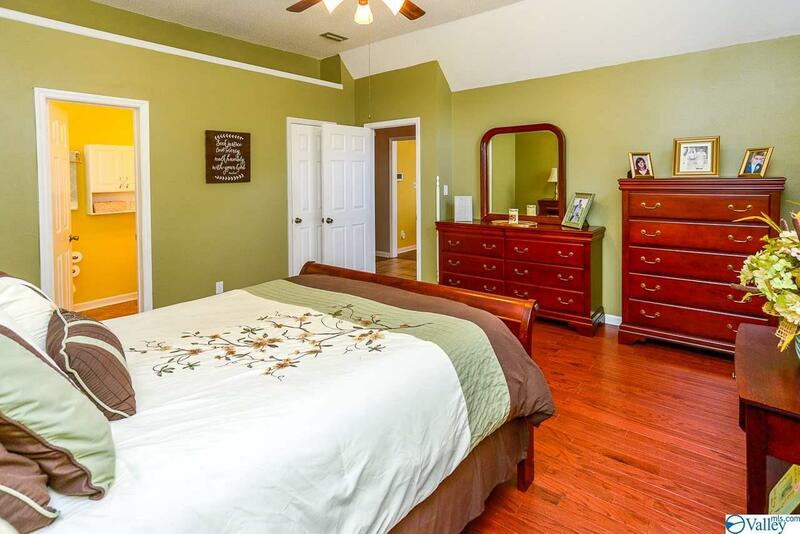 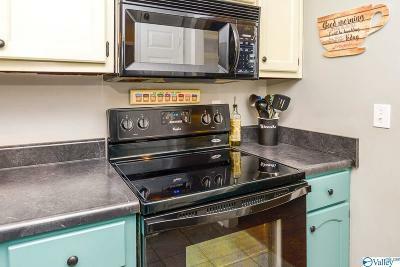 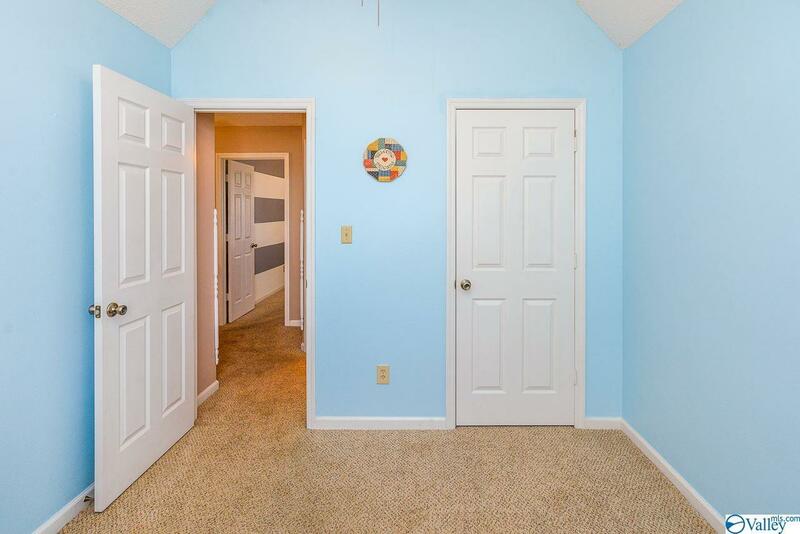 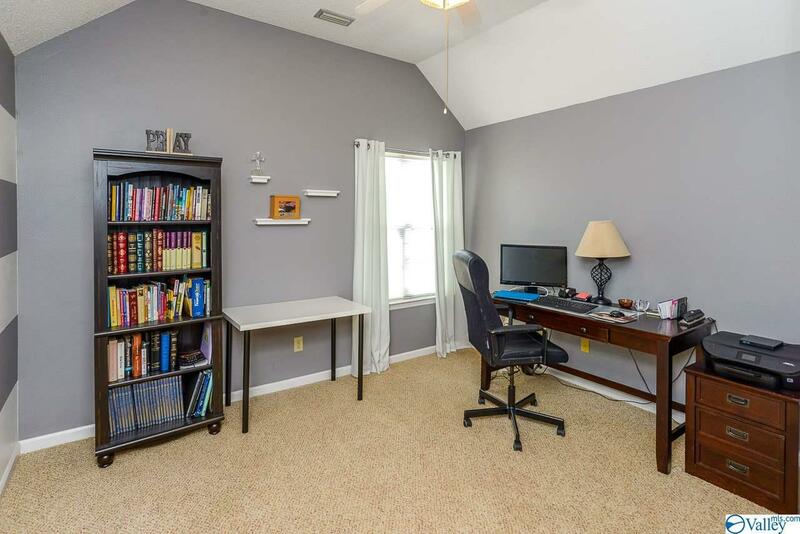 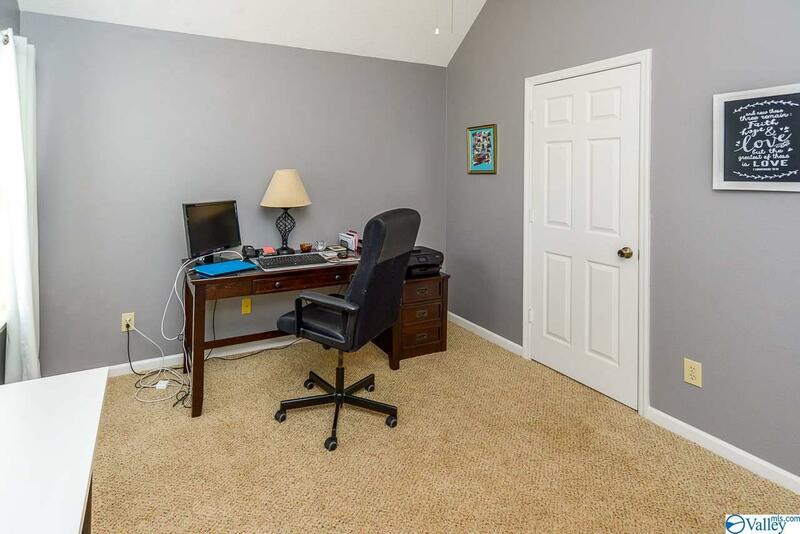 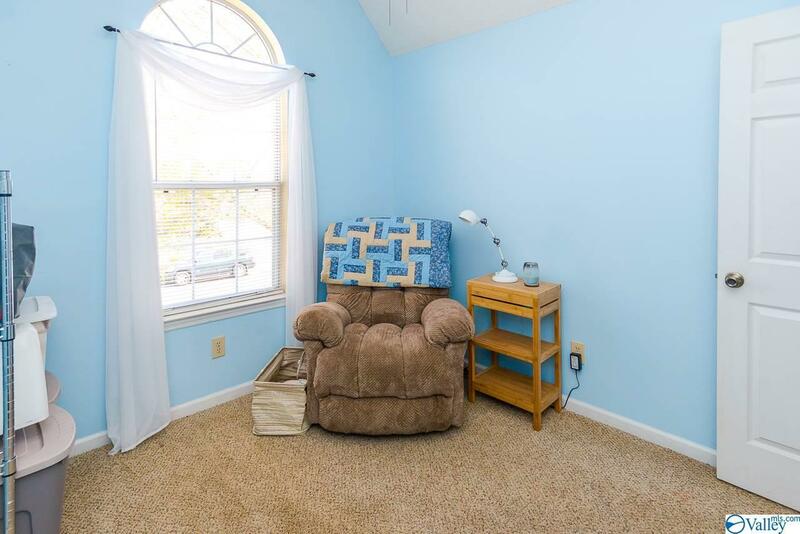 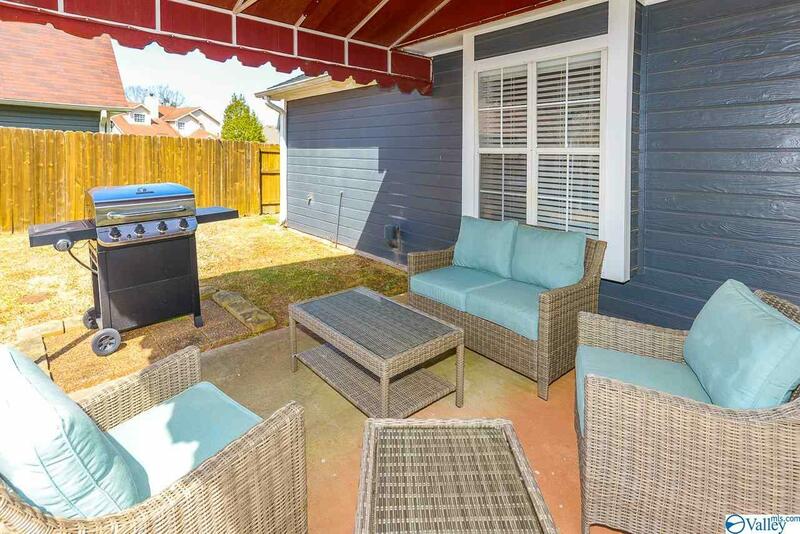 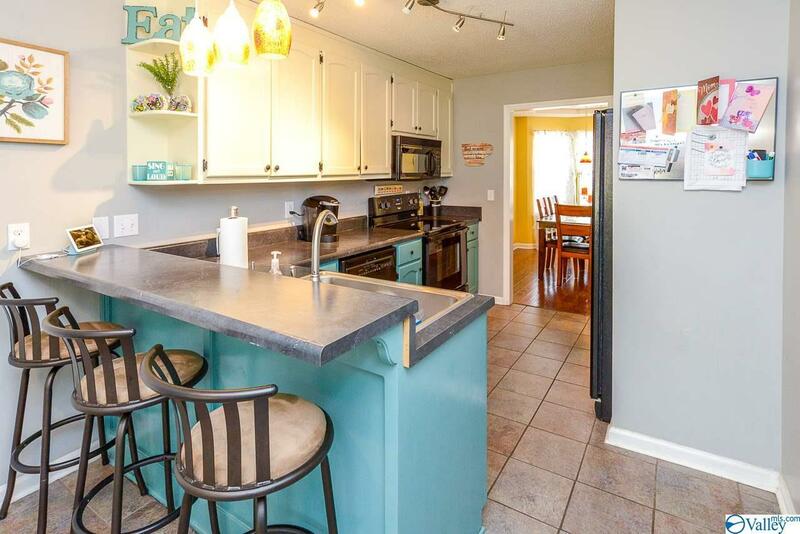 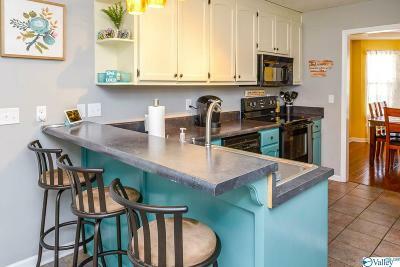 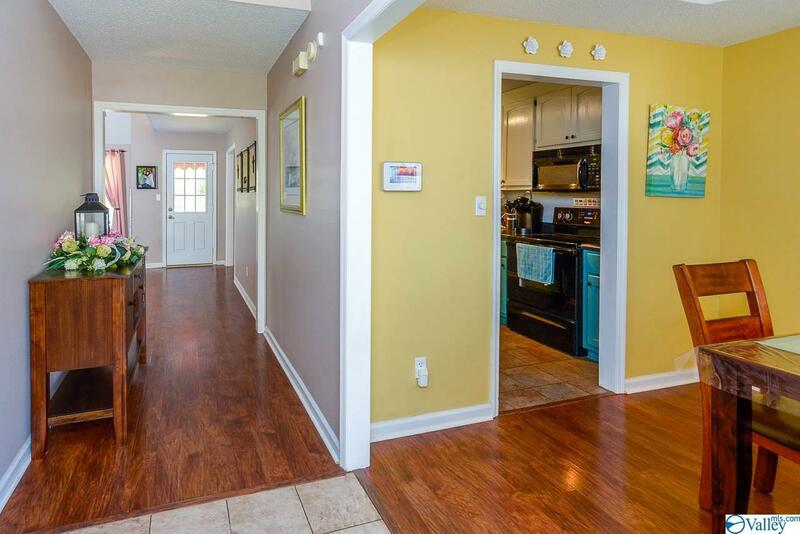 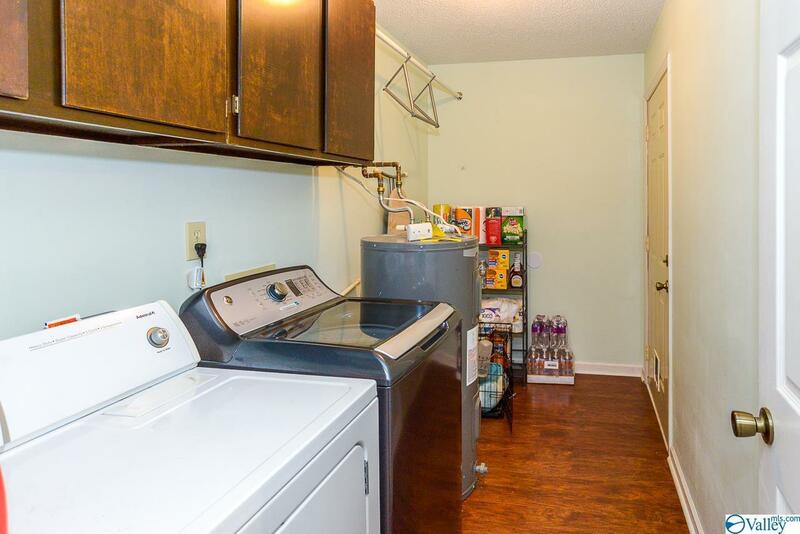 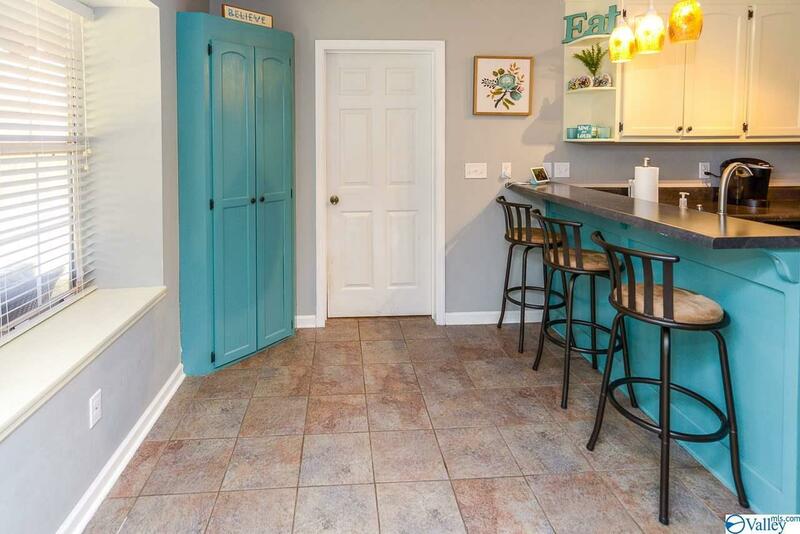 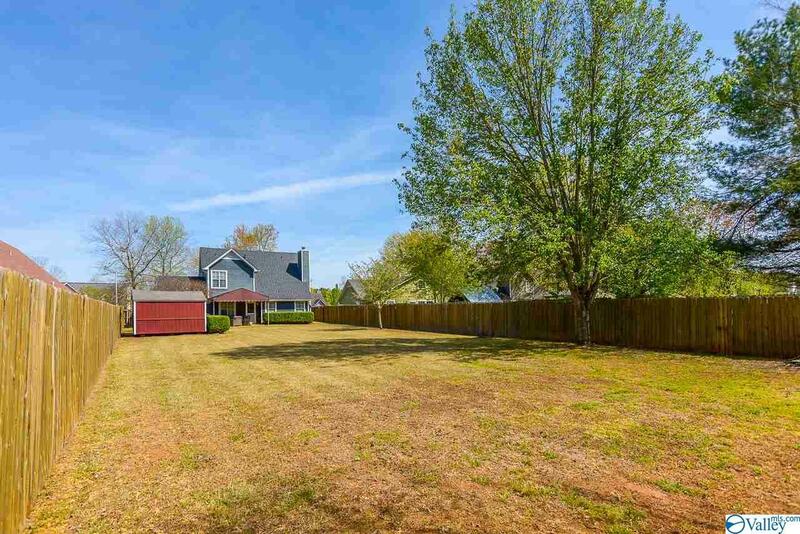 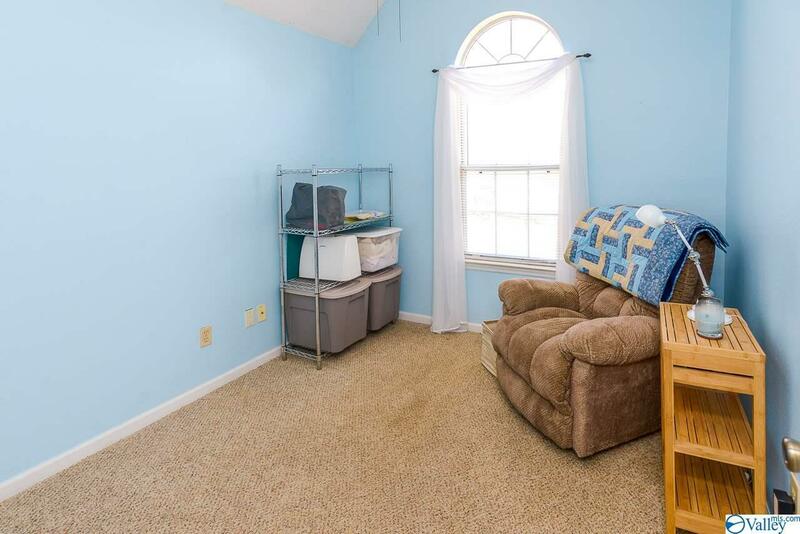 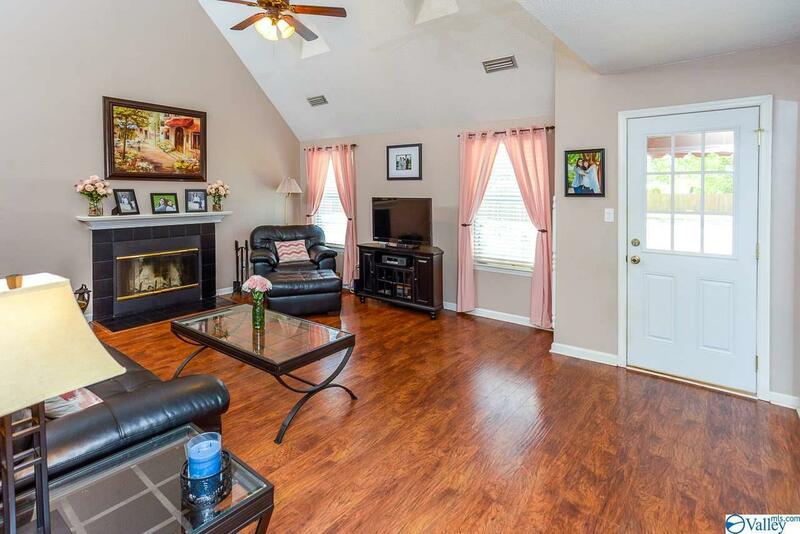 Adorable 3 bedroom home close to Redstone Arsenal! 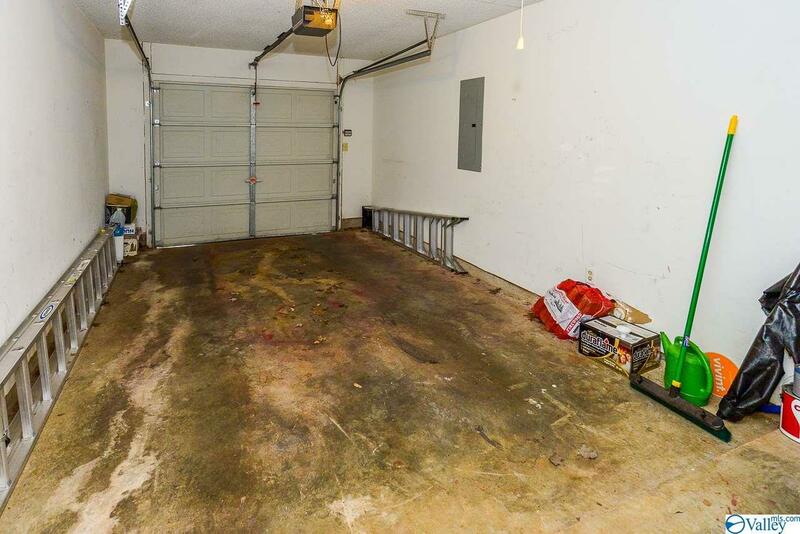 Hand-scraped laminate wood floors for all of the main level, except in kitchen & bathroom, which have tile. 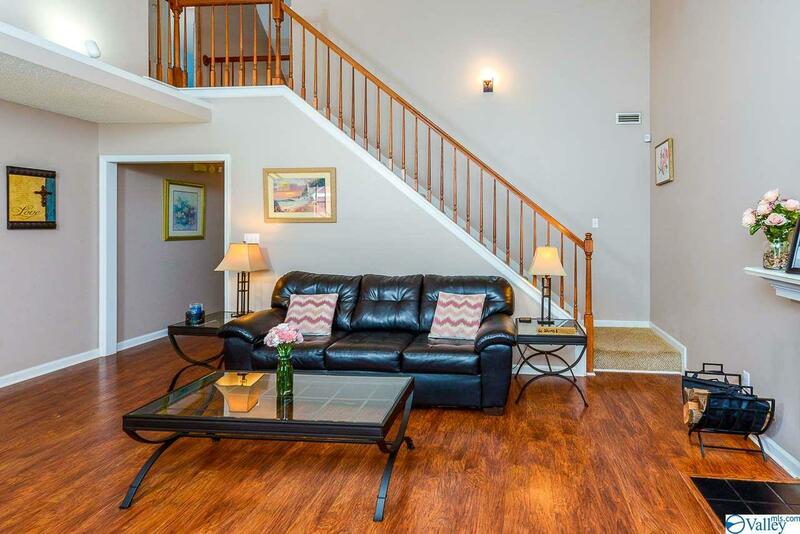 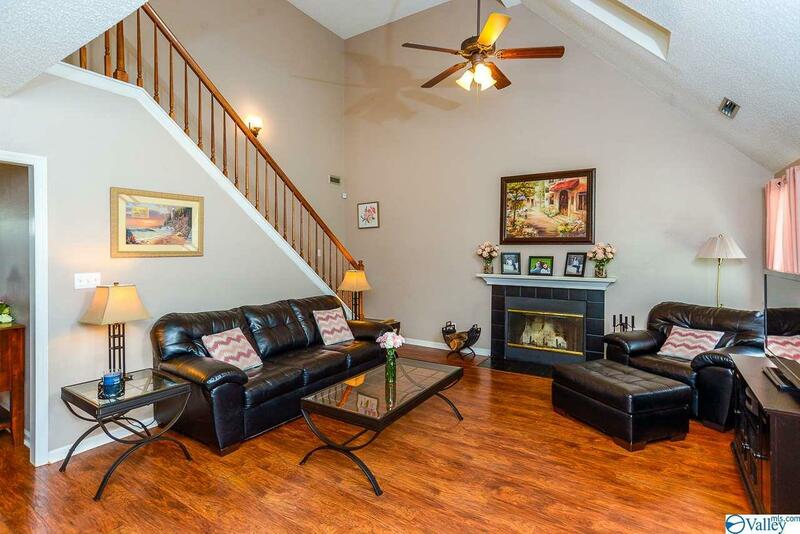 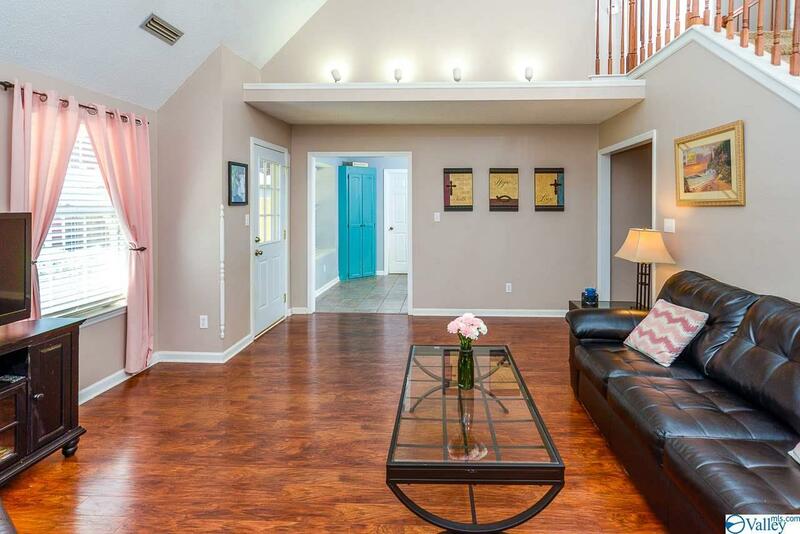 Beautiful 2-story Family Room features a fireplace, a fully open view of the staircase, & an ornamental shelf w/lighting! 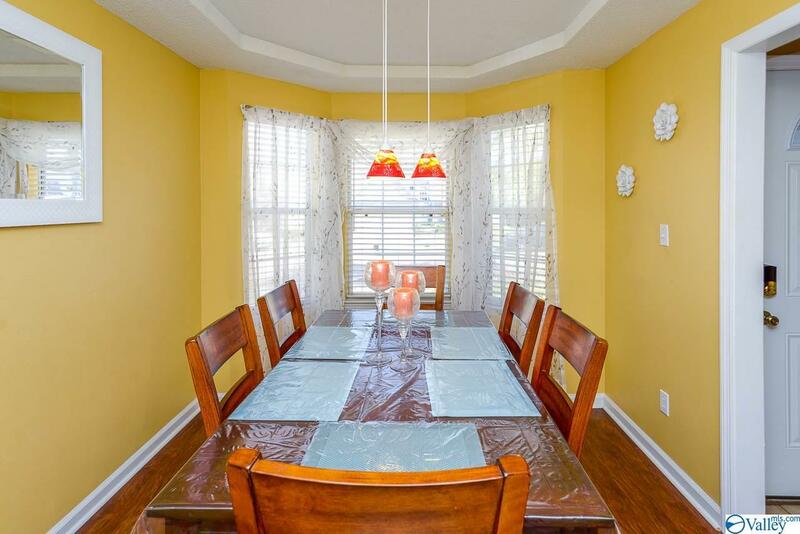 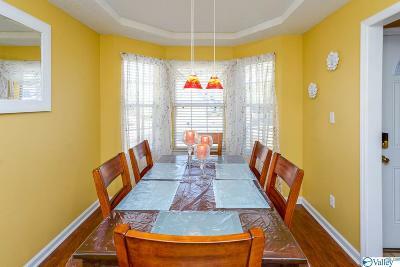 The formal Dining Room offers a decorative ceiling & lots of natural light from the bay window! 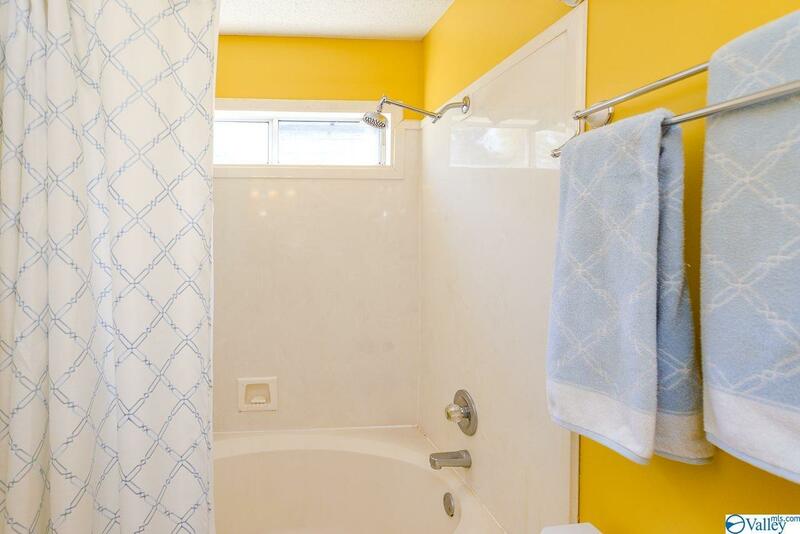 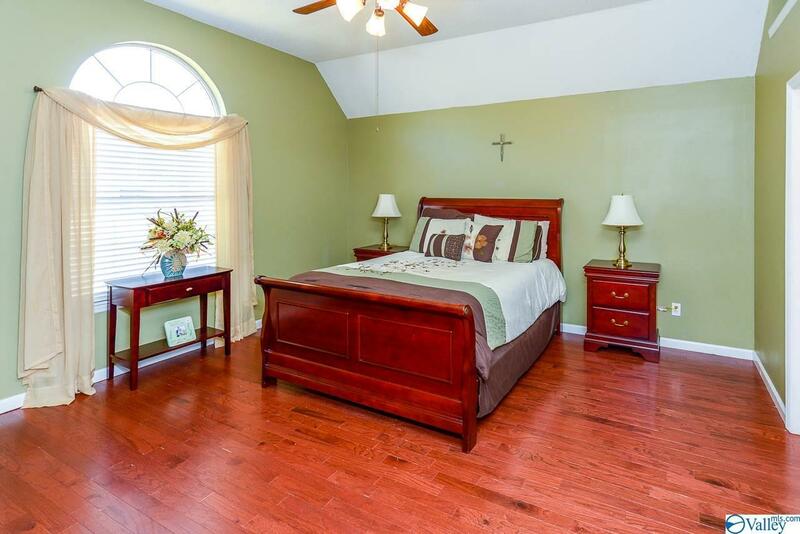 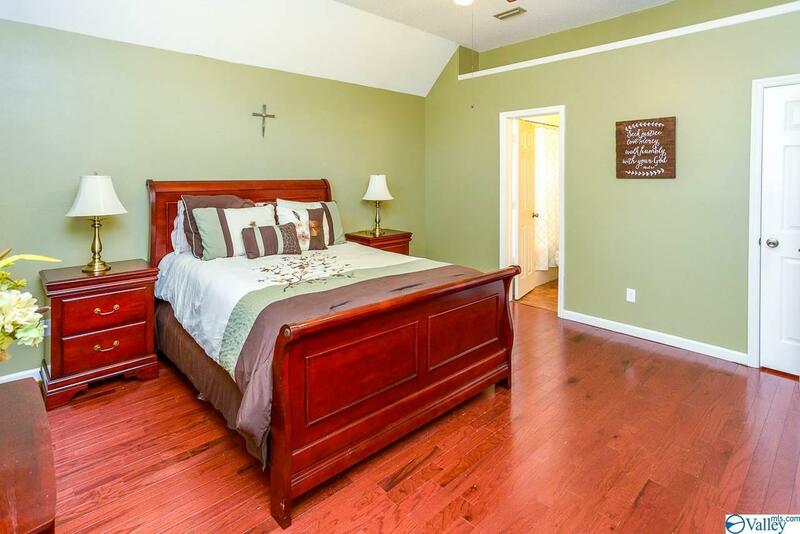 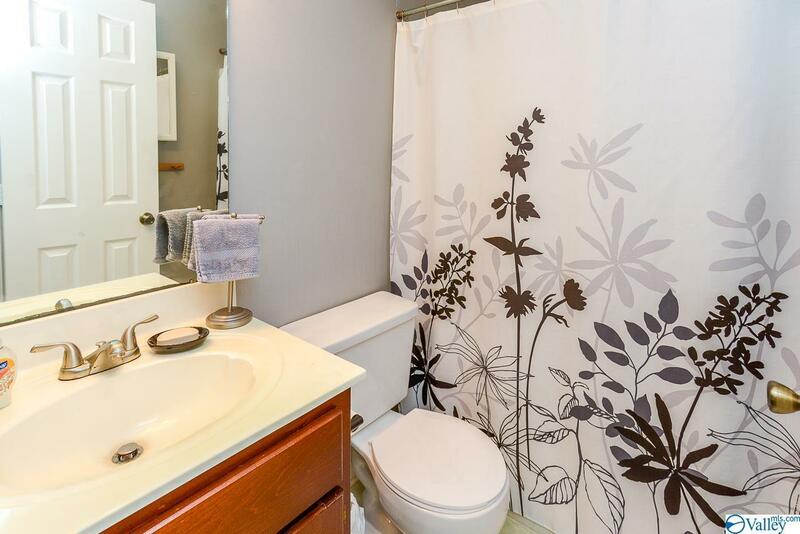 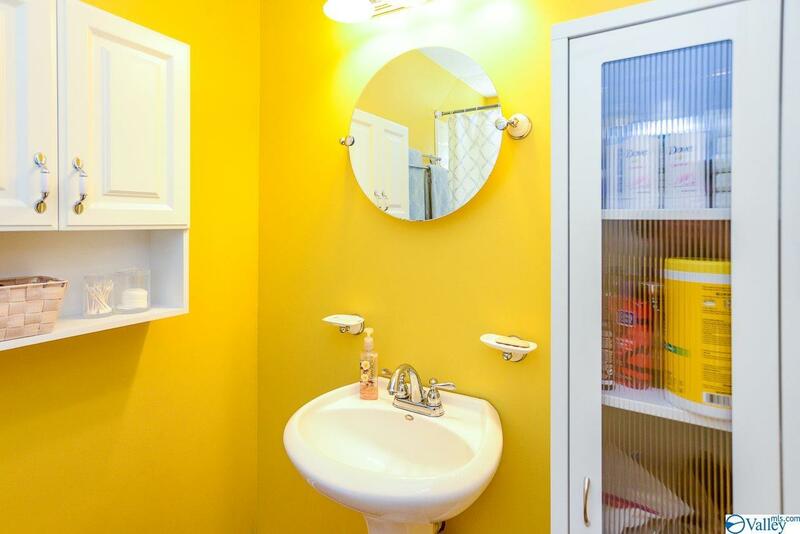 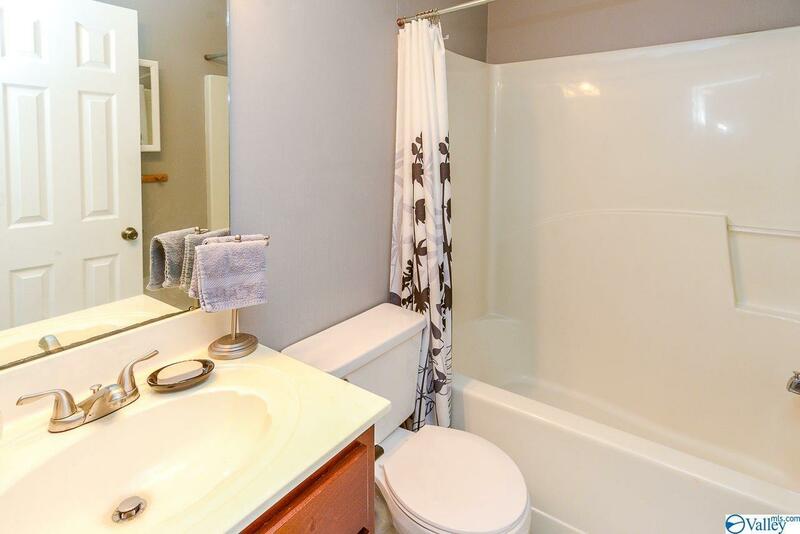 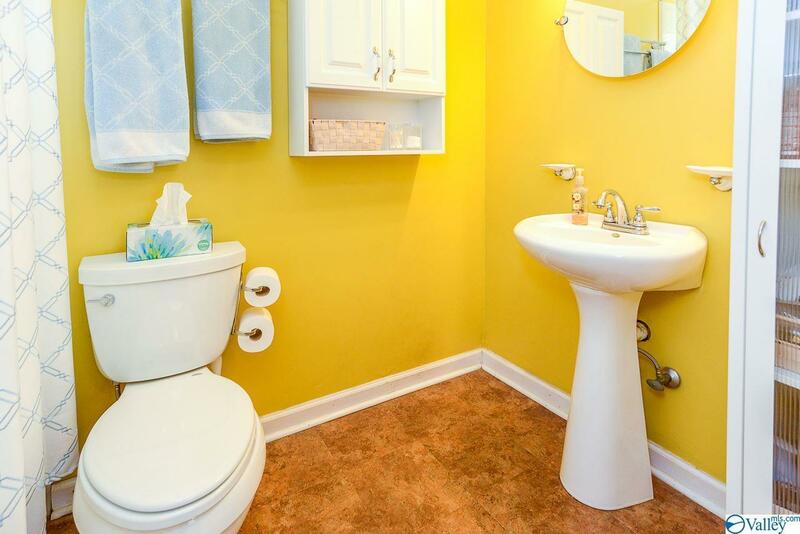 Upstairs you'll find 2 bedrooms and an additional bathroom. 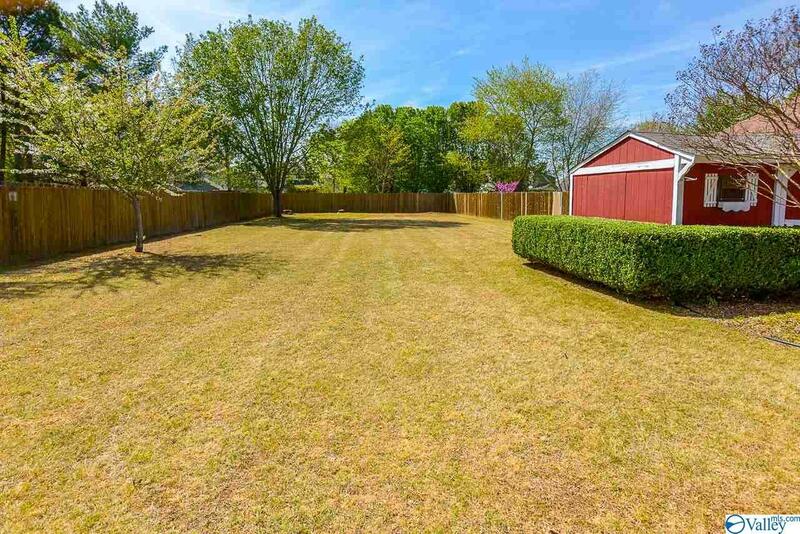 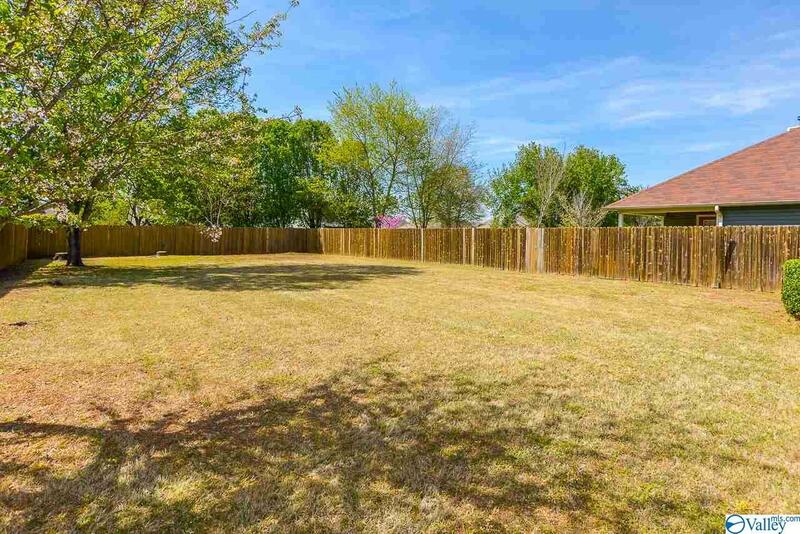 This is a large cul-de-sac lot with a huge privacy-fenced back yard! 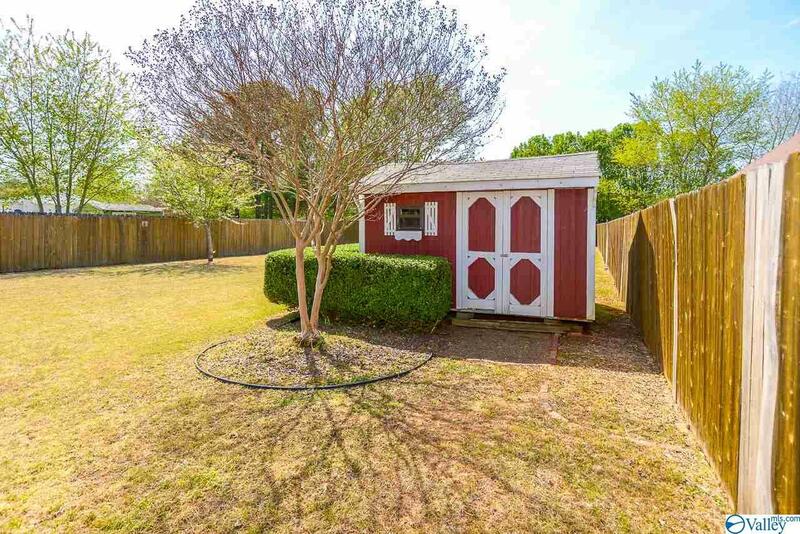 There's even a storage shed and covered patio!